What do you think? Are we bluffing when we say the a phone can be used as a power bank to charge other phones? No we are not. It is real and this is how is can be done. 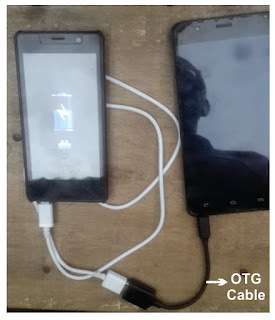 OTG cable is the secret behind this trick. 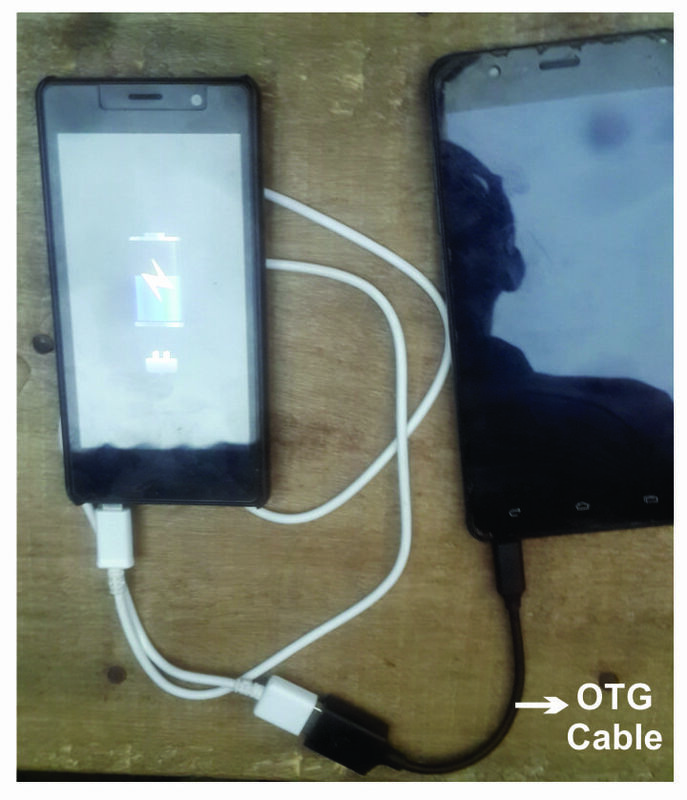 Just get an OTG cable plugged to the phone which is to server as the power bank, and then plug the USB charger cable of the phone you want to charge to the other end of the OTG cable just as you see in the image above and we will be proofed right that we are not bluffing, because the other phone will start to charge in no less than 5 seconds. Note: this was experimented with Infinix HotNote (X551) which has a battery capacity of 4000mAh, serving as the power bank. Try yours and drop a comment of which phone make and model you use. Do not forget to subscribe to our updates by dropping your email address below.